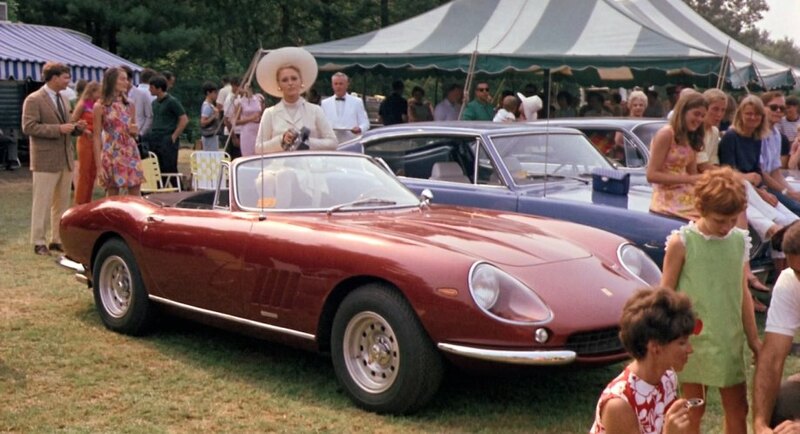 “One of those red, Italian things.” – The Ferrari 275 GTB/4 NART Spyder. I promised myself that, after having written about the Dino and Steve McQueen’s 250 GT Lusso, I would avoid writing about a Ferrari when it came to the next car article. So, I had a little think about what the next car might be. It would have to reflect my tastes. It would have to be a classic sports car with breathtaking lines and performance to match the styling. It would have to be something unique and captivating. It was no use. 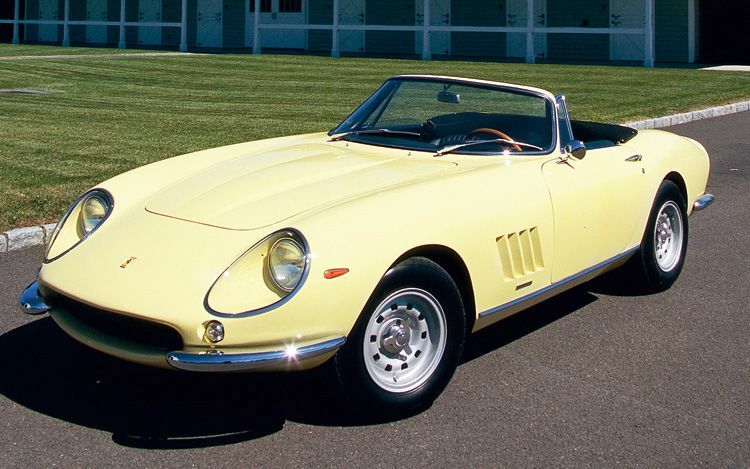 I kept coming back to the same car: The Ferrari 275 GTB/4 NART Spyder. Once described as “The most satisfying sports car in the World,” to me the Ferrari 275 NART Spyder is possibly the most beautiful car I have ever laid eyes on. I’m not alone in thinking this, as back in 1967 it featured as Faye Dunaway’s personal car in The Thomas Crown Affair. Not only did it catch Steve McQueen’s eye in the film, but in real life too – McQueen ended up purchasing one for himself not long after. This is also one of the rarest Ferraris in existence. In fact, only ten were ever made. That’s right, ten. Despite this rarity, it is a miracle that any were produced at all. It is all thanks to one man: The American Ferrari distributor, Luigi Chinetti. In fairness, Chinetti was far more than just a Ferrari distributor. He had known Enzo Ferrari himself whilst the two of them were at Alfa in the ’20s. In fact, Chinetti was something of a track star, having found victory at Le Mans in ’32 and ’34 with Alfa and later in ’49 in a Ferrari. Having moved to the US in 1940, Chinetti set to work selling Ferraris, where, after the success of the 1949 Le Mans win, he was awarded the distribution of Ferrari in North America. Then, in 1956, he founded the North American Racing Team, or NART. Chinetti’s NART team was made up of some of the finest drivers of the time, all keen to prove themselves in Ferrari’s finest cars. The NART team competed globally, and in 1965 a Chinetti entered Ferrari took the win at Le Mans. So, it is fair to say that Chinetti had firm ties and a strong relationship with Enzo Ferrari. Which is why it is surprising that, when Chinetti approached Ferrari to manufacture a limited run of 25 soft-top Spyder variants of the previous year’s 275 GTB Berlinetta, he said no. Perhaps it was because Ferrari were already manufacturing a luxurious Spyder in the form of the 330 GTS, or perhaps because Ferrari knew more about selling cars than even Chinetti, that he declined Chinetti’s suggestion. Whatever the reason, Chinetti was not discouraged by this set back. So, having been told by the head of Ferrari, Enzo himself, that they weren’t going to make it, Chinetti approached another long-time associate of Enzo’s – The Ferrari coachbuilder, Sergio Scaglietti. Like Chinetti, Scaglietti had also worked with Ferrari during his days at Alfa and, after Enzo recognised his brilliance, he went on to help create a number of Ferrari’s most well-known race cars, including the 250 GTO and the 250 Testarossa. Scaglietti was already producing the Pininfarina designed 275 GTB/4 for Ferrari, so he was the perfect person to approach regarding turning the car into a Spyder. Fortunately, Scaglietti jumped at the opportunity to express himself more creatively and, after mentioning it to Ferrari, he set about turning the elegant 275 GTB Berlinetta into an even more stunning Spyder. Enzo, for all intents and purposes, simply turned a blind eye. Whilst Pininfarina must be credited with the overall look of the 275, there can be little doubt that Scaglietti created one of the most beautiful looking cars ever built in the 245 GTB/4 Spyder. The first of the 275 NART Spyders was chassis number 09437 GT. Built on a rare alloy body – the previous 275 GTBs all being constructed of steel – this car was completed in ’67 and painted a pale yellow. It was shipped to Chinetti in the States where it was immediately entered into the 12 Hours of Seabring event where, driven by the all girl team of Denise McLuggage and Pinkie Rollo, it came second in its class and 17th overall. Not bad for a car that was straight from the factory floor. Soon after, the 275 GTB/4 NART Spyder was gracing the cover of Road & Track and, after a respray, was gracing the silver screen too in The Thomas Crown Affair. The NART Spyder in The Thomas Crown Affair. With all of this publicity, Chinetti ordered another nine cars, one of which (chassis number 10453, in case you were wondering) went on to be purchased by Steve McQueen. However, despite this publicity, the NART Spyder utterly failed to sell and Chinetti later recounted that not one of them sold for the list price – the final few being heavily discounted to cost less than the standard GTB/4. So, what became of that first, unique Ferrari, star of the track and film alike? Well, back in August 2005 it went to auction and ,unlike the other NART Spyders in Chinetti’s collection, this had no problem in fetching a high price – it sold to a collector for nearly 4 million US dollars. PHOTOGRAPHY: Winston Goodfellow and clips and stills from the Thomas Crown Affair courtesy of Misisch Corp.
← Clooney plays it cool in The American. Steve owned a couple of Ferraris. One was a 250 GT Lusso in Marrone Metallizzato – that’s metalic brown to you and me – and another was a 275 GTB/4. McQueen’s Ferrari 250 GT Lusso was brown. 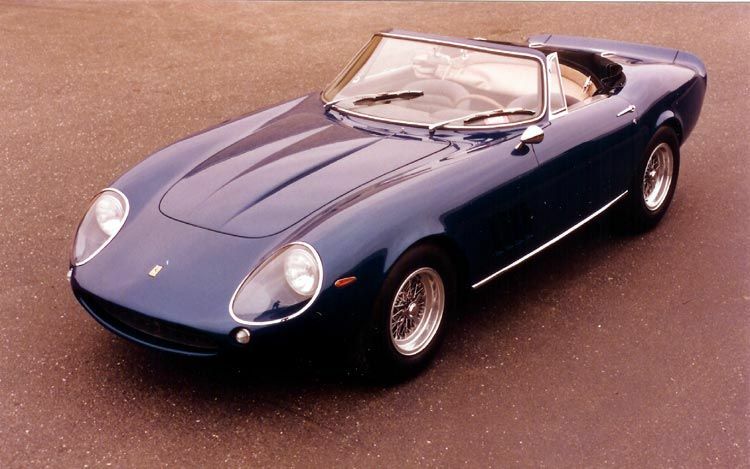 The 275 GTS/4 NART Spider was blue. His 275 GTB/4 coupe was originally a metallic brown/gold that was soon reprinted a chianti red. If the NART spyders were so difficult to sell, why was McQueen unable to buy another one after his was damaged in a crash? I understand that he tried to buy the one in Florida that recently sold for $27.5 Mil and the owner wouldn’t part with it. He ended up converting the berlinetta to a spyder. Is it true that Anthony Wang owns McQueen’s original NART spyder–the one in the movie–and that the factory restored berlinetta is up for auction at Pebble Beach next month? 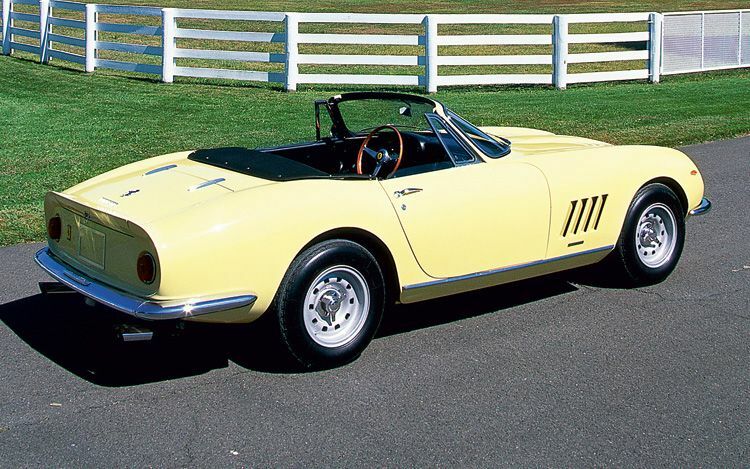 McQueen didn’t convert the 275 GTB/4 to a spyder – someone else did in the 80s. It was recently turned back into a berlinetta by Ferrari themselves. They still had the original parts they removed to restore. That is the car up for auction in Monterey this August. If you go to the RM Auctions site, the full history of the car is on there. Thanks for the info. I try to get the facts right, but sometimes you make mistakes. I’ll check out the RM Auction site.